This attractive herb growing near E2 likes moist to wet habitats and it has the potential to be an invasive weed, and any plants becoming naturalised should be destroyed. 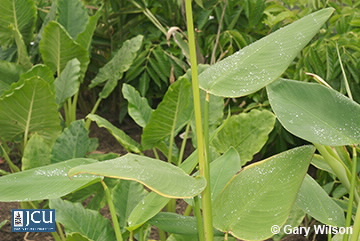 The vegetative plant is about 1 m tall but when the large inflorescence is present it is about 2.5 m tall. The tips the branches of the much branched inflorescence are drooping, terminal branchlet appear to form a zig-zag. Flowers purple to pink about 2 cm long, irregular in shape, stamens/staminodes petaloid. Fruit a capsule to 12 x 7 mm with a single dark-coloured seed to 10 x 6 mm.